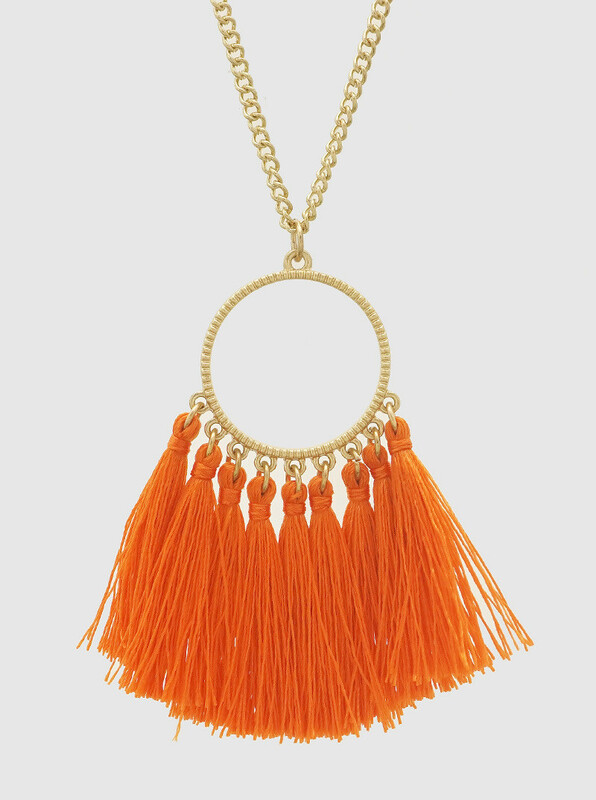 Slightly different shape to the Hattie Tassel, but equally stunning in this popular Summer orange colour way. Imagine it with a maxi dress, bikini or kaftan... Hurry up Summer!